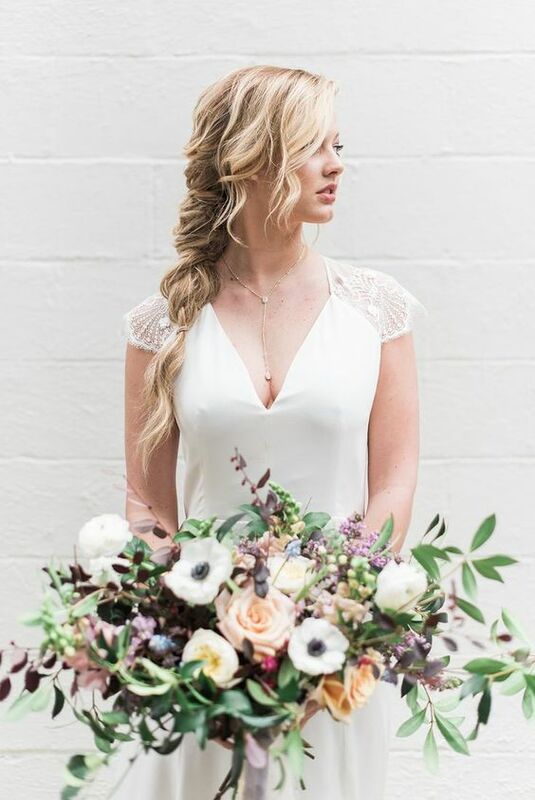 There are more and more casual and modern weddings, such weddings require not so many preparations and you won’t have to fuss so much about your big day and will feel more relaxed. 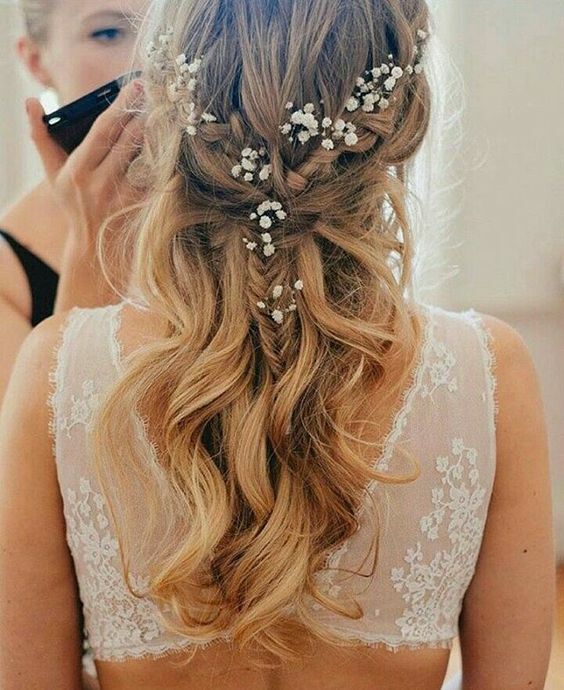 If you’ve chosen such a relaxed wedding theme and want to have as little mess with preparations as possible, you need to create a casual bridal look. 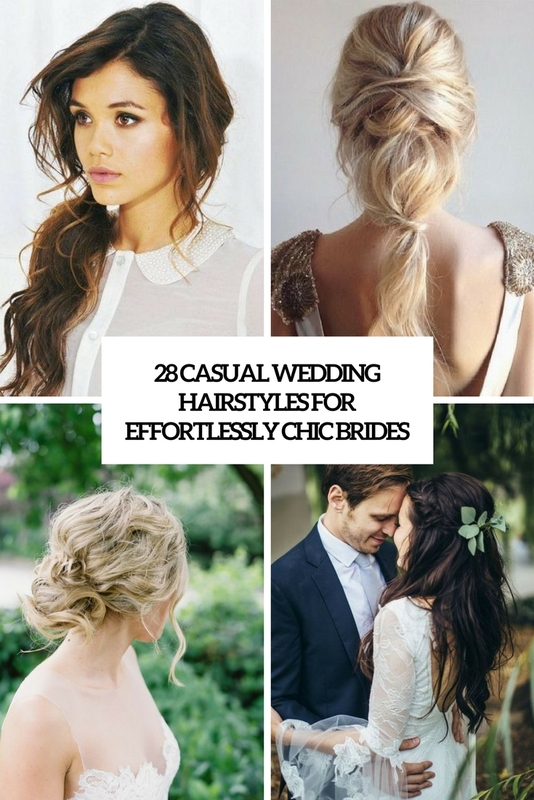 First of all, choose a casual wedding gown and second – your hair should be casual, too! 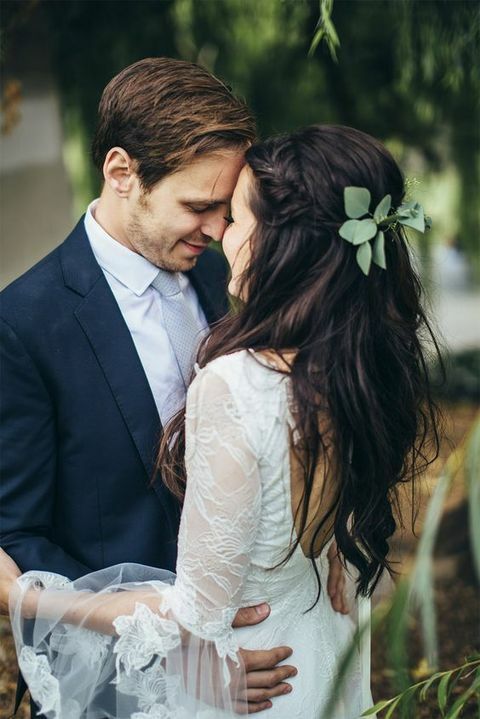 This roundup will show you some cool casual wedding hair examples and maybe you’ll get inspired! 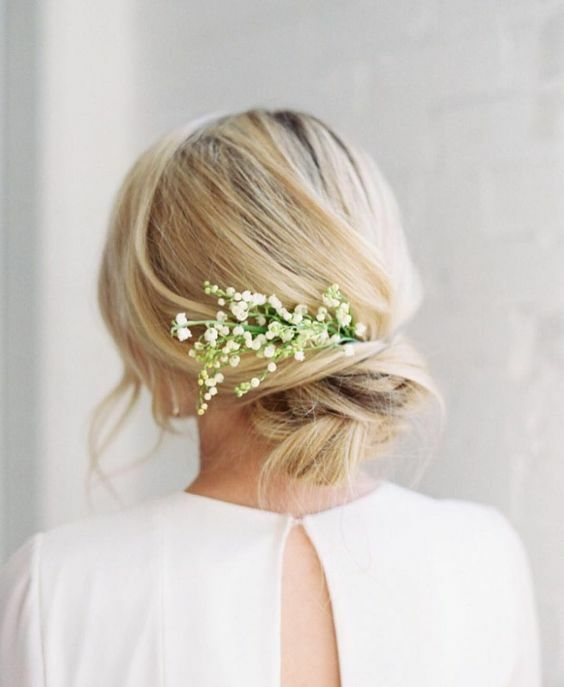 One of the simplest hairstyles you can easily recreate anytime is a ponytail. 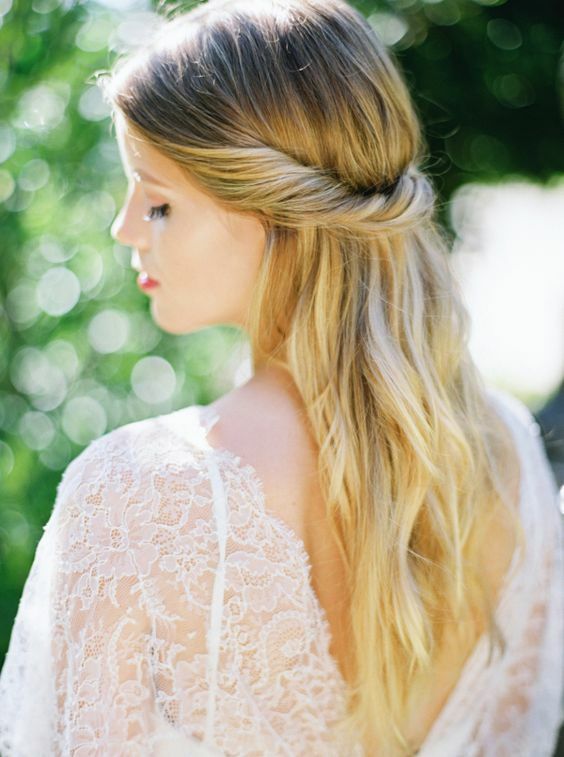 It may be a usual sleek one, or a ponytail with a volume and texture achieved with some waves or beach waves. 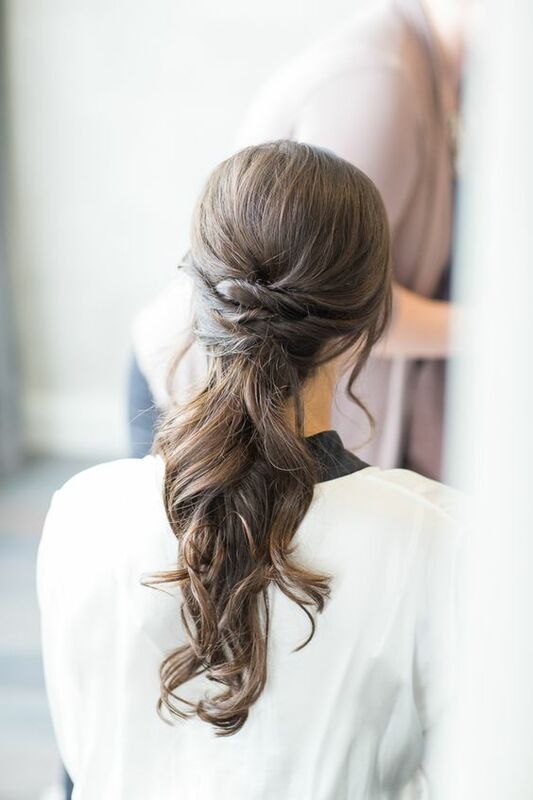 There are also messy ponytails with waves to try, a low ponytail is easy to make and easy to re-make if you need it. 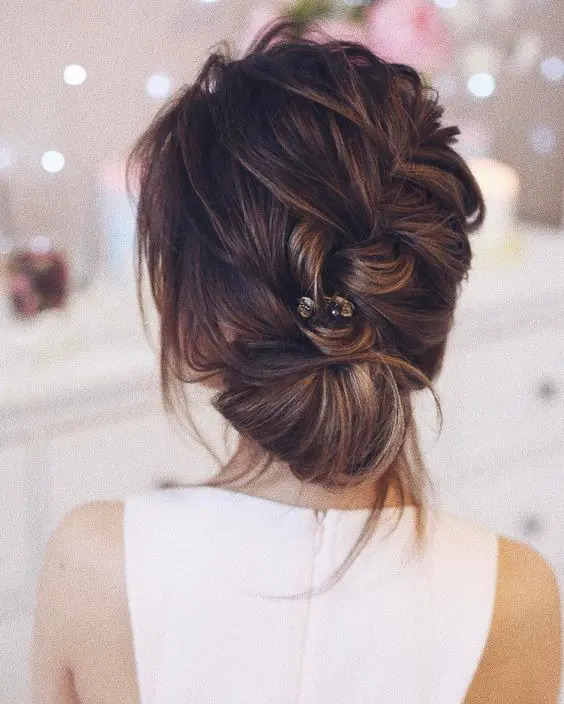 You can also add a twist to your ponytail or several twisted bangs to make the hairstyle more interesting. 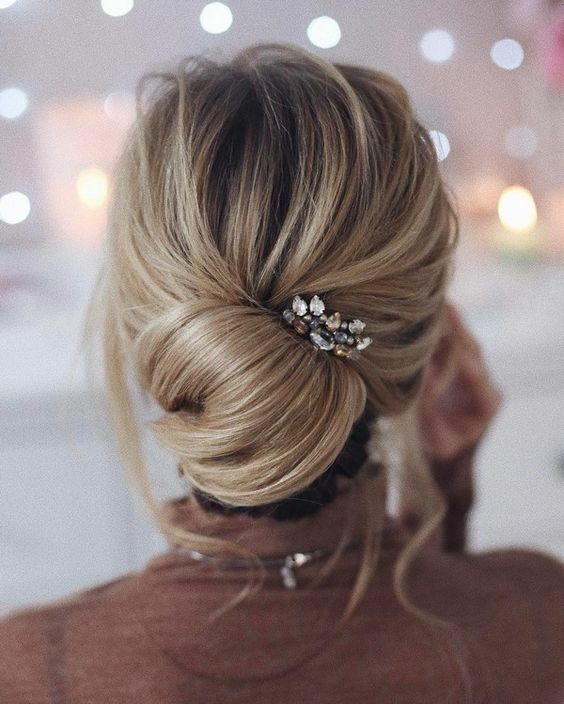 A half updo is a timeless solution, which is easy to make yourself. 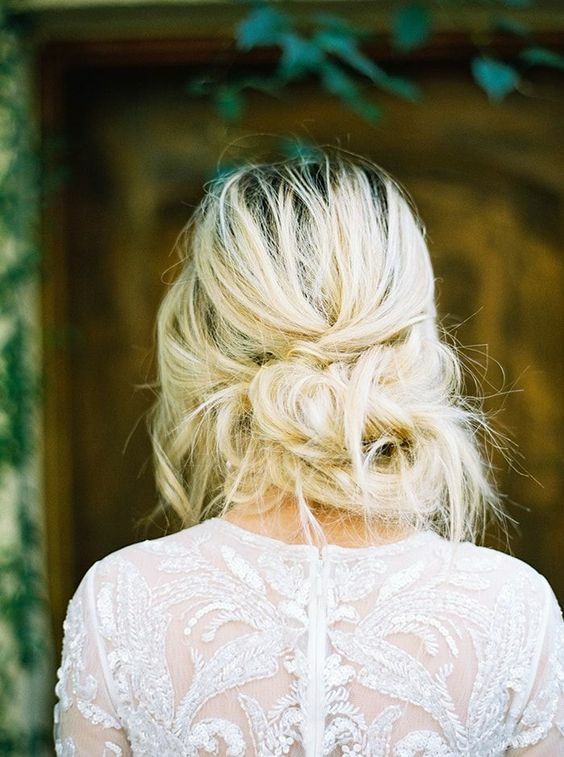 A half updo can be made more interesting with waves, curls, braids and twists. 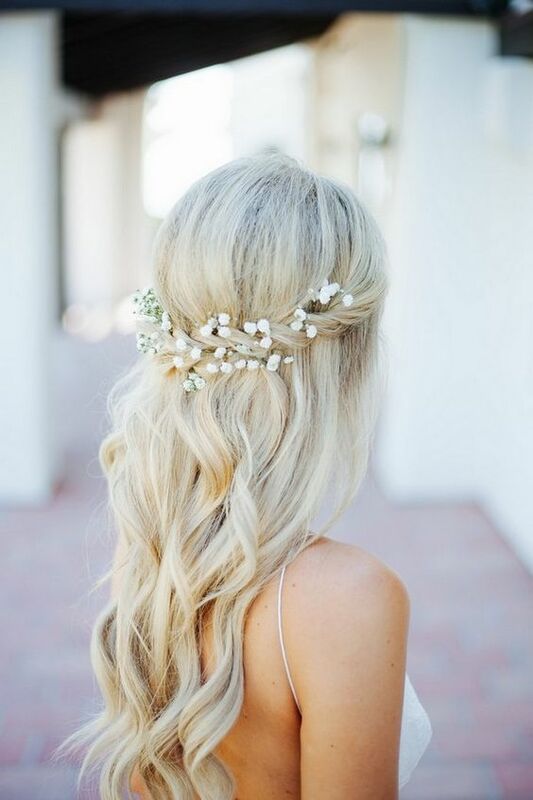 You can also tuck some foliage or flowers into your hair and make the hairstyle cooler. 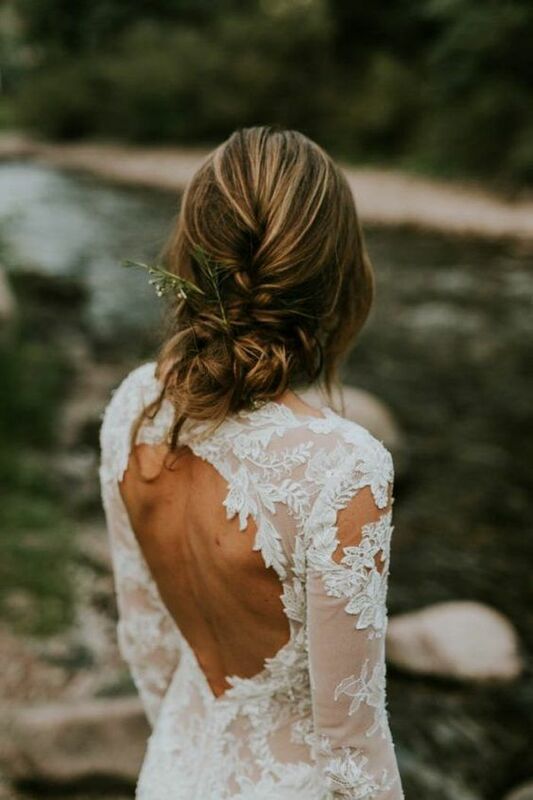 Such a look will be a nice idea not only for a casual modern bride but also for a woodland or boho one, it’s a very romantic idea. 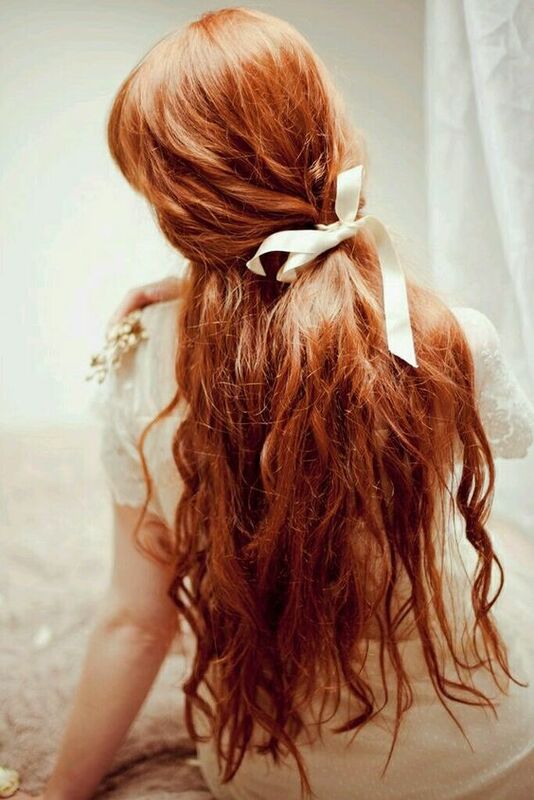 Braids are in trend now, and you can easily make one yourself, it may be a usual braid, a milk braid, a fishtail one. 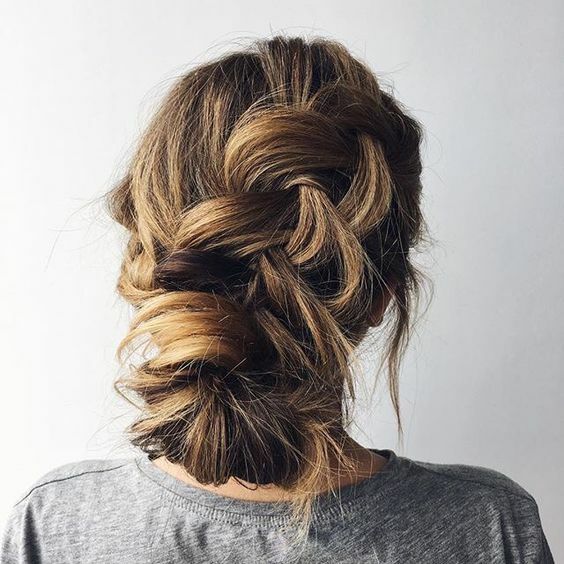 Go for a messy look, which guarantees a casual and effortlessly chic look. 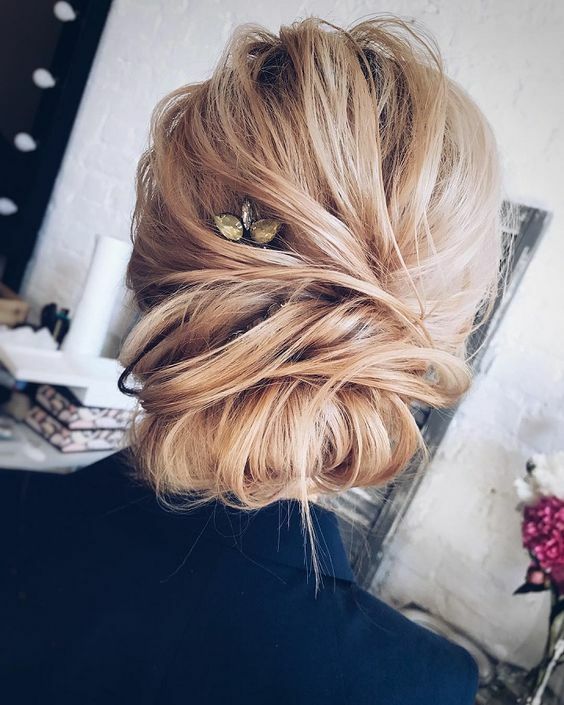 There are also different types of braided updos, with bangs and messy textures, you can accentuate such an updo with a small rhinestones hairpiece that will sparkle in your hair. 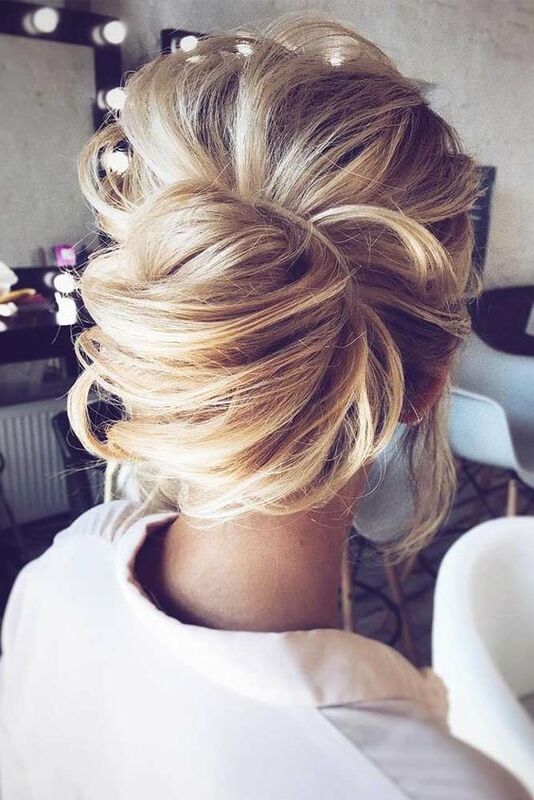 Messy updos can be chignon ones, messy twisted ones and many other types with bangs and waves. 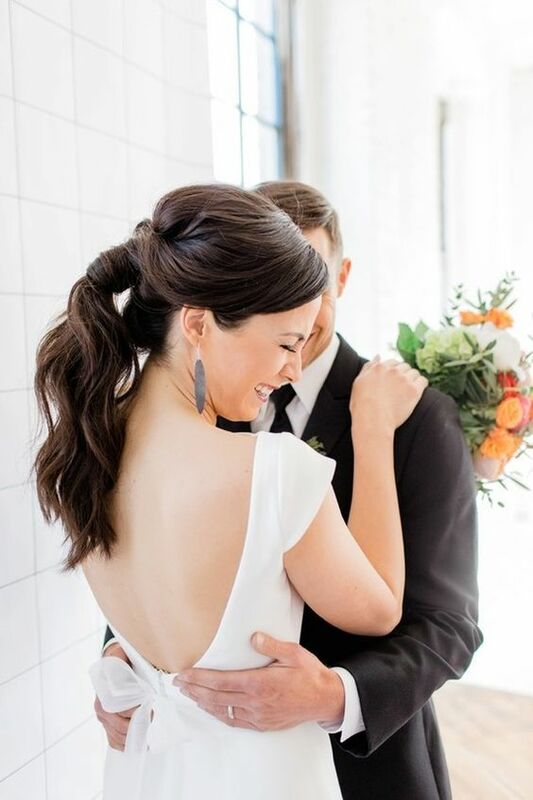 Messy low buns are great, too, and messy wavy updos are welcome for effortlessly chic brides, and you will feel gorgeous with them. Get inspired by the ideas below!